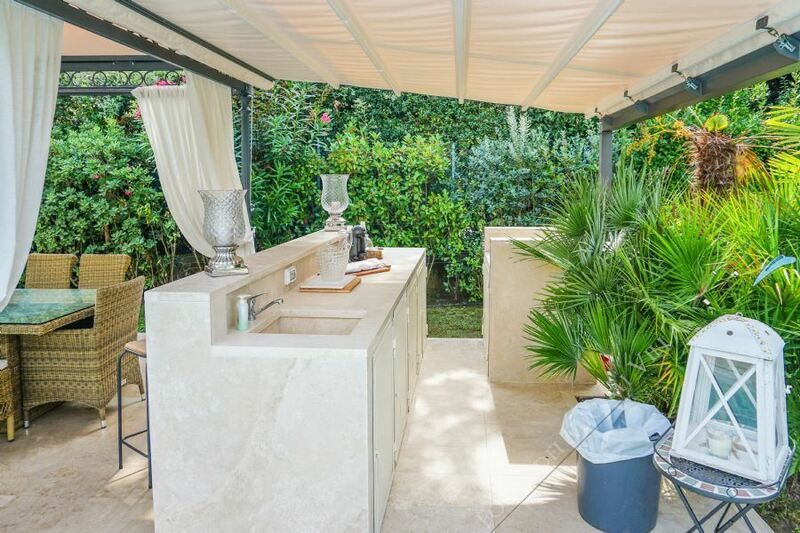 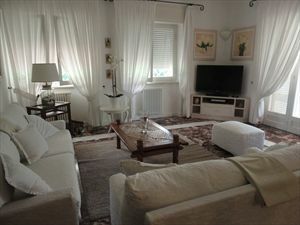 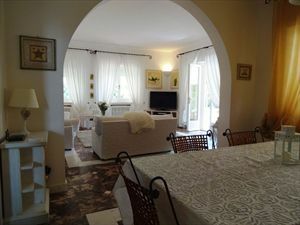 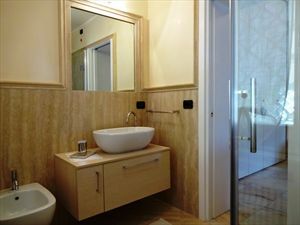 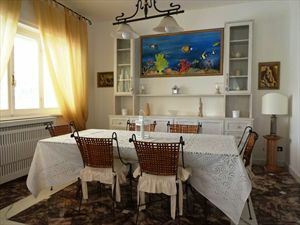 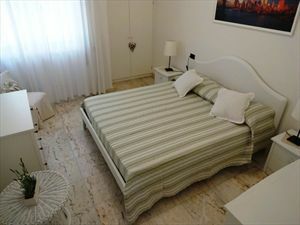 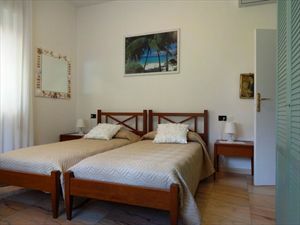 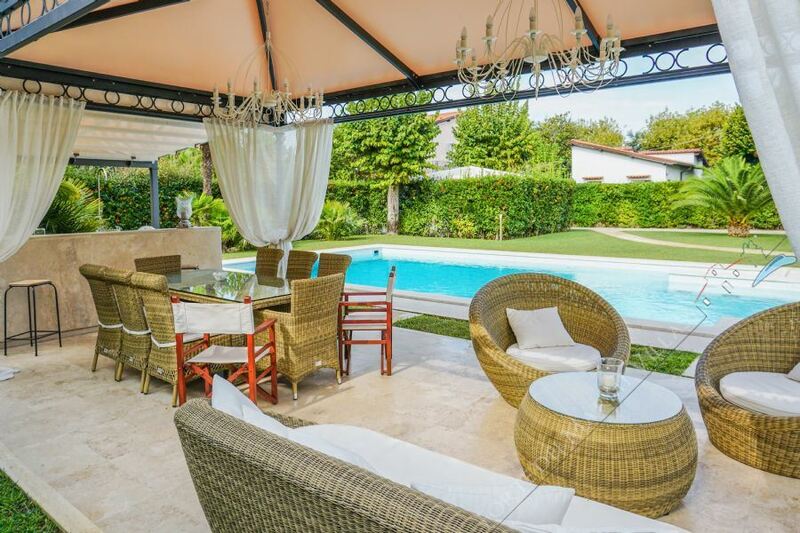 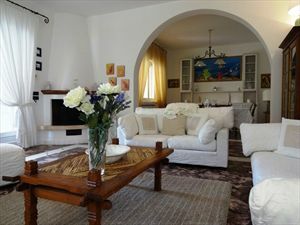 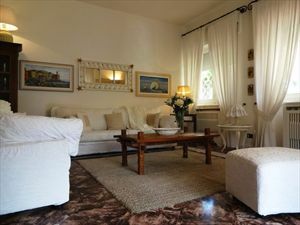 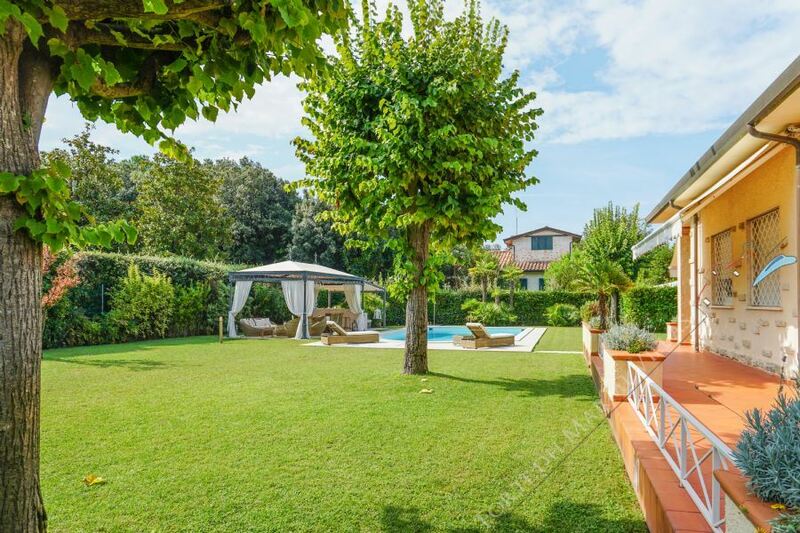 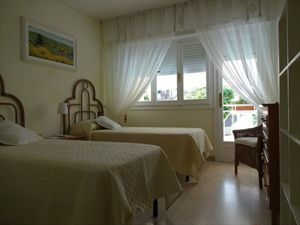 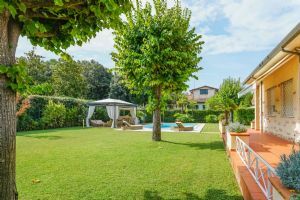 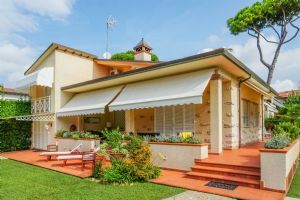 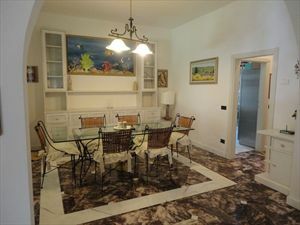 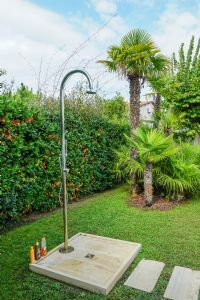 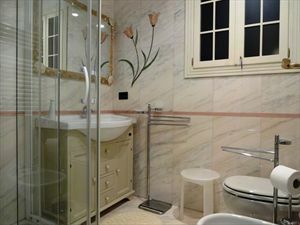 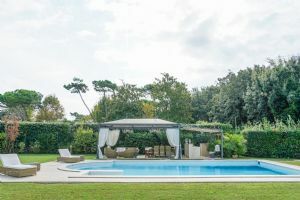 A detached villa with swimming pool (10x6 m.) located near the sea in a quiet area, a short walk from the central square too. 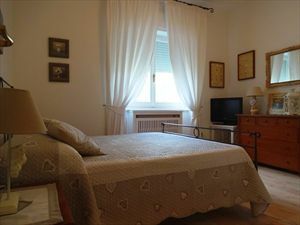 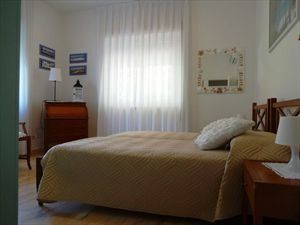 The house is equipped with air conditioning, alarm system and internet. 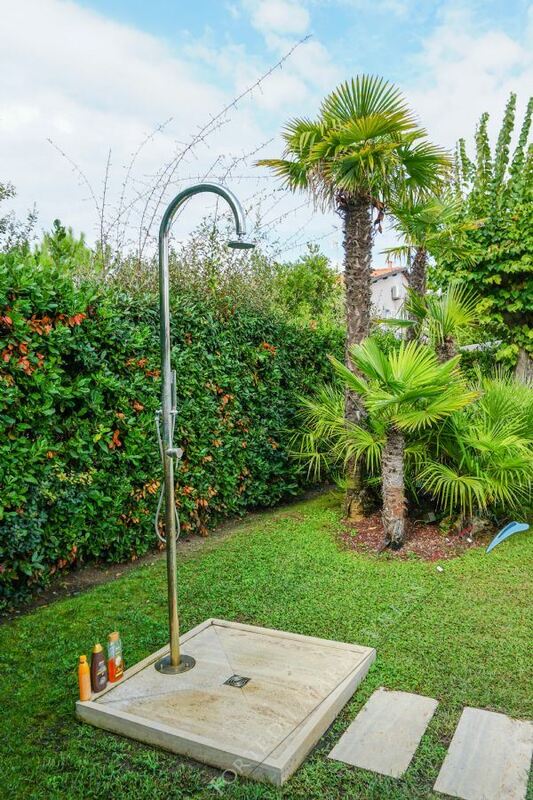 The gate is fitted with an automatic control system. 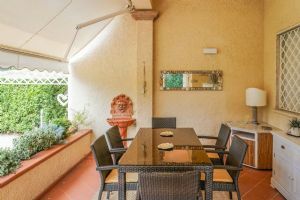 The garden benefits from a seating area, a barbecue area and parking for several cars. 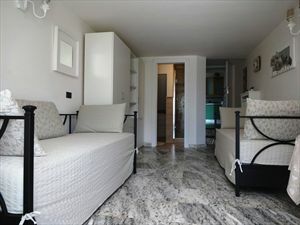 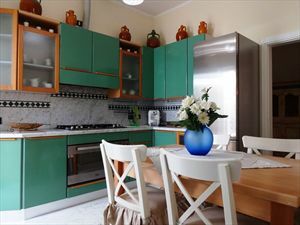 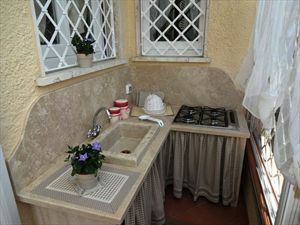 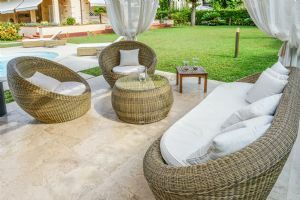 The ground floor consists of a terrace with outdoor furniture and dining table, a large living room, a kitchen, a laundry, 2 double bedrooms, 1 bedroom with twin beds and 2 bathrooms. 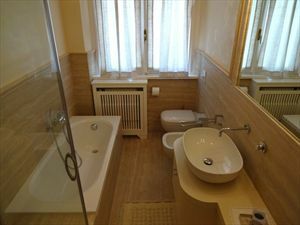 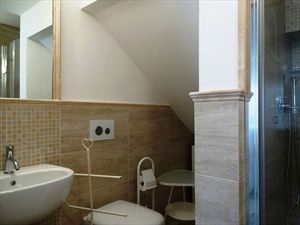 The upper floor comprises a bedroom with twin beds and a bathroom with shower.